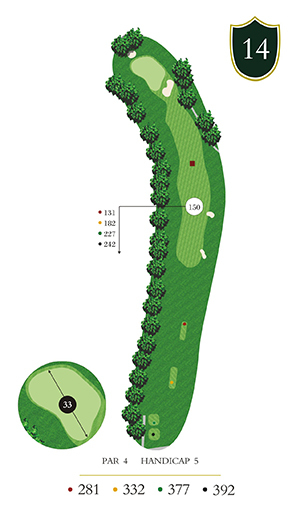 This 392 yard Par 4 doglegs to the left, with wooded terrain protecting both sides of the fairway. A right to the left shot works best off the tee. Your approach shot is into a large green with bunkers front and back.